Reformer Pro can be used for 10 days as a fully-functional demo without a license. You will need an iLok account to activate the demo. You will only be able to evaluate the demo once on your iLok account. To start the demo, add Reformer Pro to a track in your DAW. 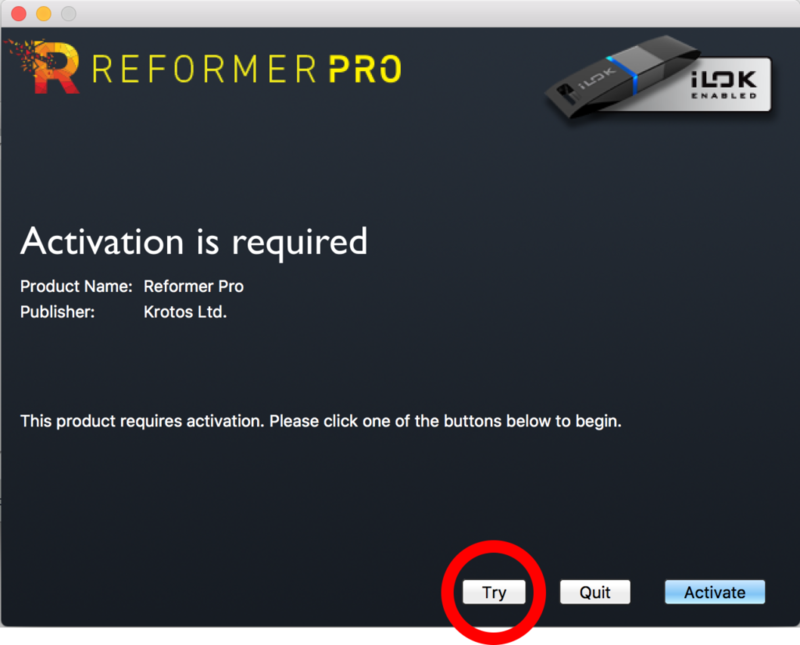 When the ilok popup appears, choose ‘Try’, and follow the procedure on-screen. Log into your iLok account and choose a location. You demo will now be active. You will see a popup window again in 10 days time, when your demo will expire.